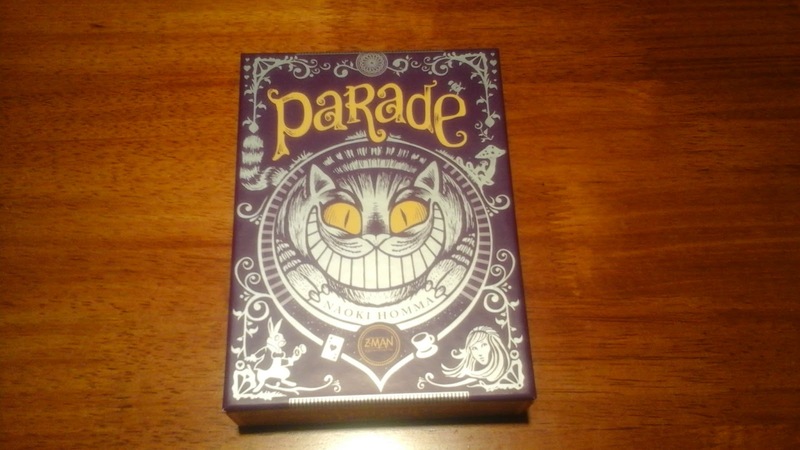 Parade is an excellent small card game that packs quite the punch. 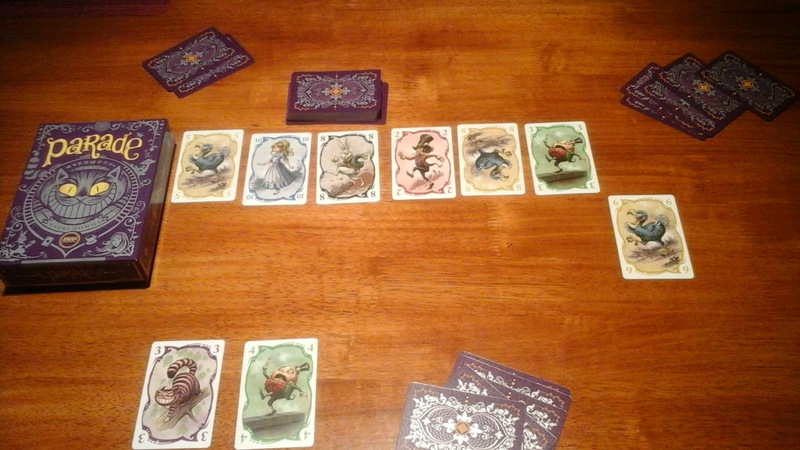 It’s only 66 cards with simple rules but the possibilities for clever play are terrific. 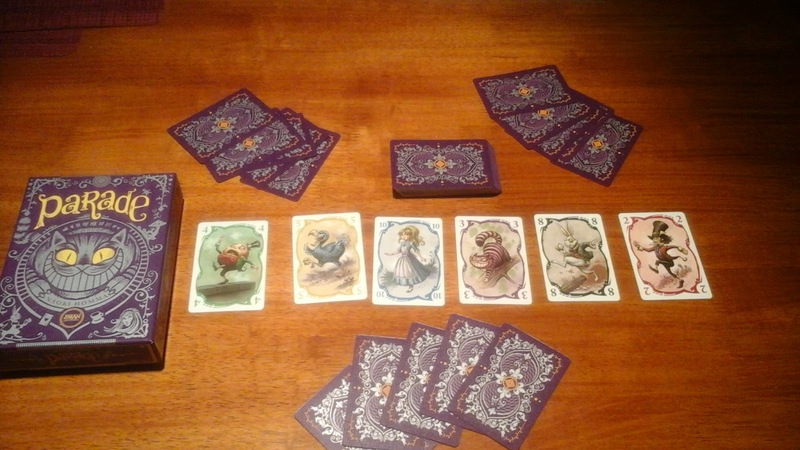 The game has a laughably pasted on Alice in Wonderland theme but the game play more than makes up for it. 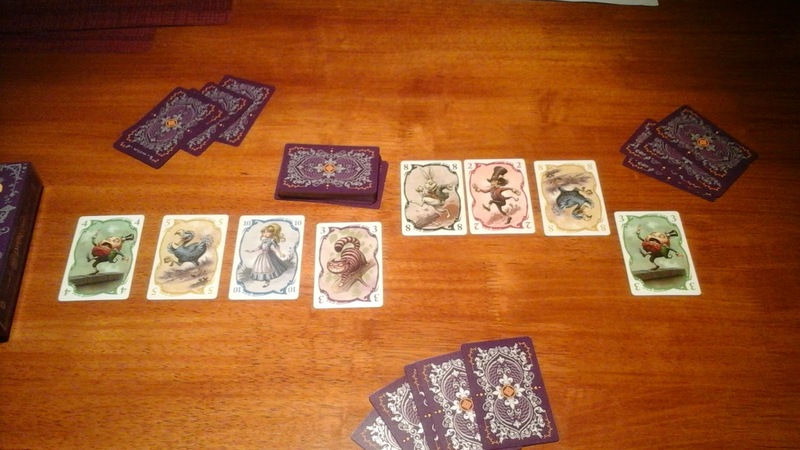 Cards are numbered 0-10 in 6 different colors (Alice in Wonderland characters). Game set up is a breeze: deal 5 cards to each player and 6 to the center of the table. 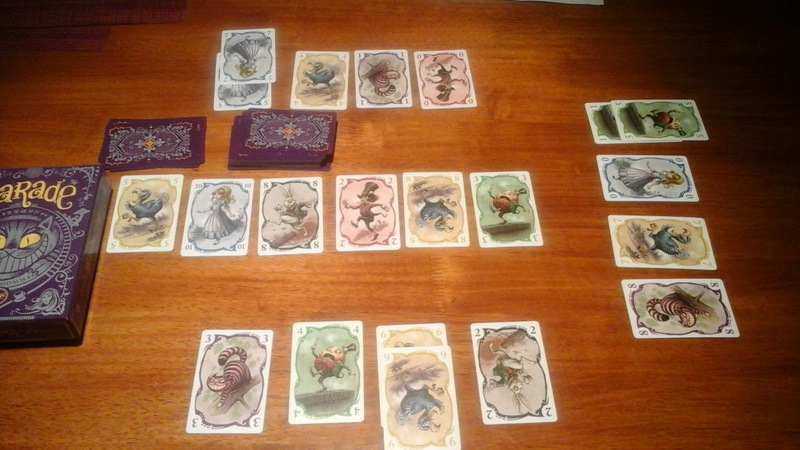 These 6 cards form the beginning of the parade. Game play is equally simple. On your turn you play a card from your hand to the end of the parade and count cards from the end of the parade towards the front of the parade equal to the number of the card that you played. These cards are considered “safe” and will not be captured this turn. All other cards out of the safe zone are captured if the color matches the card played or if the number is equal to or less than the card played. You place the claimed cards face up in front of you in matching color stacks. The first wrinkle is that points are BAD in this game. The second, and more fascinating wrinkle, is that the cards score differently if you have the color majority or are tied for the color majority. Instead of scoring the point values printed on the card, you score only 1 point for each card you have in a color if you have the most cards of that color. The game end triggers when a player collects all 6 colors or the deck runs out of cards. 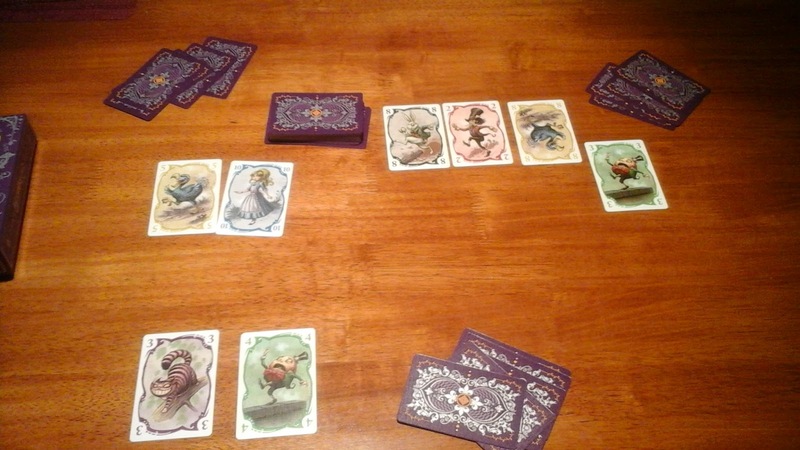 Each player then plays one more round, ending with 4 cards in hand. Next, all players discard 2 cards and play their final 2 cards to their face up piles at the same time. This small end game trick just adds to the awesomeness of Parade and adds some nice tension. The simple rules combined with the really unique scoring packs a massively fun game into a small box. It’s exactly the type of game I want to create with CheeseViking Games. Right now I rate this game a 9 on the BGG scale.